Are you bothered by wrinkles around the eyes and forehead that give you a tired, older, or concerned look? Consider Botox Cosmetic® treatments! A non-surgical, injectable treatment that softens and smooths wrinkles caused by habitual facial expressions, Botox can help you look more youthful and better refreshed. 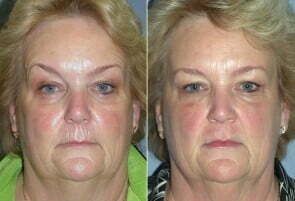 Treatment is quick, results are apparent in just a few days, and the rejuvenating effects of Botox last for months. Excellent results with Botox depend on a provider placing the correct dose in the precise locations to achieve desired muscle relaxation. Since every patient has a unique face, successful Botox treatment must be administered with skill and careful precision. While many facilities use a nurse injector to perform Botox treatments, Dr. Movassaghi still chooses to perform all Botox injections at our Eugene plastic surgery practice. As a board certified plastic surgeon, Dr. Movassaghi has many years of training and experience performing facial plastic surgery and cosmetic injections. His thorough knowledge of facial anatomy and skilled eye for symmetry help ensure your Botox treatments are safe and your results are beautiful. Earning our Diamond status reflects our commitment to excellence and shows that patients trust us to provide the very best in care and excellent results. We couldn’t have done this without you; we have the very best patients in Eugene—thank you! Most bothersome wrinkles in the upper third of the face develop as a result of our habitual facial expressions as much as they do the aging process—even men and women in their late 20’s or early 30’s may notice glabellar lines or crow’s feet. Such lines are called “dynamic” wrinkles because they can get more or less severe as you change your facial expressions. Botox works by using a safe dose of a neurotoxin called botulinum type A to temporarily weaken the muscles responsible for the facial expressions that cause dynamic wrinkles. Following injection, the habitual “pull” of treated muscles relaxes, allowing the overlying skin to appear smoother, and wrinkles are lessened naturally. The muscle-relaxing effects of Botox typically last 3 to 6 months, depending on the patient. Will people be able to tell I’ve gotten Botox? If you have chosen a skilled, experienced Botox provider, the results should look completely natural. The face does not appear “frozen,” and you will still be able to make normal facial expressions. The difference is that the facial movements that cause frown lines and brow furrows will not be so severe and you will not make such movements subconsciously. An added benefit of Botox is that treatments tend to have a cumulative effect. After receiving injections to an area every few months, many patients seem to have “unlearned” the habitual muscle contractions that contribute to dynamic wrinkles, and as a result require less frequent follow-up Botox treatments to maintain their results. Using a short, very thin needle, Dr. Movassaghi will inject a predetermined dose of Botox into specific muscles around the eyes and forehead to induce muscles relaxation and soften the targeted wrinkles. Injections are not painful; rather, you may feel a pinching sensation. The entire treatment process only takes about 15-20 minutes to perform, and you may return to daily activities immediately, although you should skip any workouts or heavy exercise for the rest of the day. You may notice some redness or mild bruising and swelling at the injection site, but more serious side effects are rare. Results are usually apparent about 2-3 days after treatment, and follow up treatment may be needed after several months to maintain the results. While Botox and fillers are both non-surgical injectables intended to treat facial wrinkles, they work differently. Each is better suited to different types of wrinkles. Dermal fillers, such as Juvéderm or VOLUMA XC, contain a gel-like substance that sits beneath the skin, adding volume to soften lines and fill depressions. Fillers are best at treating “static” wrinkles, or those that form as a result of volume loss. Fillers are excellent at smoothing lines around the nose and mouth. In contrast, Botox works much like a medication; there is no Botox sitting under the skin once injected. Botox is also better suited to address wrinkles around the eyes and forehead. When used together as part of a multifaceted facial rejuvenation plan, Botox and fillers can help you smooth wrinkles and restore youthful volume throughout the face.